Knitted Wire Mesh (various diameters) - ACS Industries, Inc.
At ACS, we are the world’s largest vertically integrated knitted wire mesh manufacturer. Our process of supplying Mesh is based on our expertise in the industry. First, we knit our Mesh into a tubular form, then flatten it into continuous lengths, and finally roll it up for packaging. 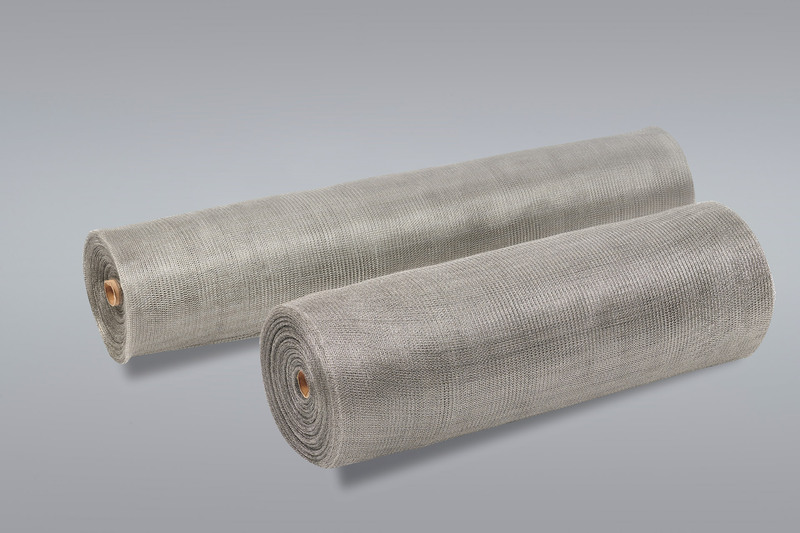 Our Knitted Wire Mesh is designed for fabricating removable and reusable insulation blankets. Due to its flexible composition, our Mesh retains and protects insulation while conforming to highly irregular surfaces. This allows our Mesh to withstand the stresses of repeated installations, vibration, buffeting moisture, corrosion and temperature extremes. As a result, our Mesh is excellent for aerospace, commercial, industrial and marine pad construction. The standard knit of our Mesh at 8 stitches per inch of width and 6-8 courses per inch of length. Additionally, we also offer our Knitted Wire Mesh in the following dimensions. We supply our Mesh in either a flat or a crimped (corrugated) form. Please note that crimped mesh yields approximately 20% less coverage (see chart below). Below is a list of our recommendations based on various Knitted Wire Mesh needs. For maximum strength and temperature, we recommend the 0.0095” and 0.011” wire diameters. For applications that are either sewn or require less frequent replacement, we recommend the 0.008” wire diameter. For maximum flexibility, we recommend the 0.006” wire diameter. For extremely high temperature applications, we recommend the crimped mesh. Although it is reduced in coverage, the crimped mesh allows for a slight air gap in extremely high temperature applications as well as counteracts the tendency of the material to toll back when cut. For exhaust applications, we recommend versions 309 and 310 in Stainless Steel. Note: The below temperatures are based upon oxidizing environment and typical values. Results may vary depending on specific technical requirements of each applications.